WE WILL CHECK YOUR BLOOD PRESSURE AND BLOOD SUGAR FOR FREE! Get your cholesterol checked for just $11! Life Coaching: Do you want to achieve more in life but can't seem to get on track? Are you having communication problems in your marriage? With your kids? ​Can't get on top of your finances? ​We want to help you get your weight, your blood pressure, your blood sugar and your asthma under control. Dr. Wilson qualified as a physician at the University of the West Indies in Jamaica in 1991, and has worked at government and private clinics in Kingston, Jamaica and in The Bahamas as a general practitioner, and at the Sickle Cell Unit of the Tropical Metabolism Research Unit at the University of the West Indies, Jamaica as a Clinical Research Fellow. 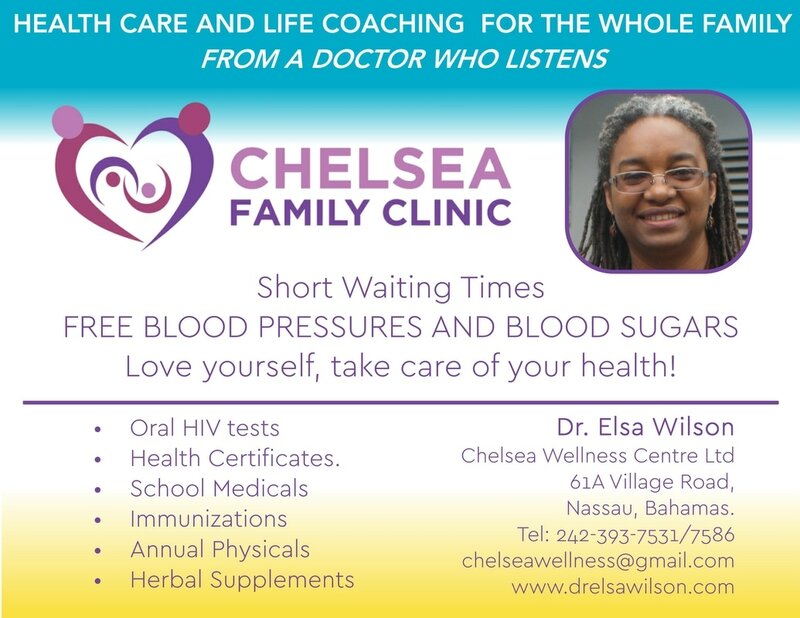 She received a Master’s Degree in Epidemiology from the University of London in 2008 and presently works in her own practice in Nassau, providing family health care and life coaching. Dr. Wilson worked for Hope Worldwide Jamaica for 8 years providing health care from a mobile unit to understaffed clinics in rural St Andrew and St Catherine and she served on the HOPE Worldwide Bahamas Board of Directors from 2009 -2015.